Remember when making furniture was an exercise in trial and error? Here are some brands offering coustomised products. Fabrics play an integral part in home interiors, be it curtains, upholstery, quilts, runners, or sheets. Mumbai-based Kanchi Designs has an exhaustive collection of luxurious fabrics—silks, vintage velvets, pure linens, handcrafted zardozi, and blended ones—that can instantly uplift the mood and look of a room. Surface texturing and meticulous details are given to cushions, sheers, trims and upholstery that can be chosen and ordered at the website. Everything, from material, embelishments, styling and sizing of furniture, comes under the customisation service. Customers can also touch and feel the products before its actual delivery at Kanchi show space in Mumbai. The visit is by appointment only. Started in 1999, as part of a larger manufacturing base, Kanchi was founded by a mother and son duo, Shobhna and Kunal Mehta. The brand has also added a section of furniture with an interesting line-up of upcycled pieces. The online store selling mass products has also got into customisation lately. It has put together a team of designers that helps customers personalise furniture as a part of its Bespoke Service. The website gives an option of either customising from scratch or to be chosen from the Shop the Look section. Designers offer suggestions, help customers select furniture and assist in shipment tracking. Interior decor solutions include fixed furniture, modular units for kitchen, wall treatment, flooring and paint services. More often than not, the furniture we fall head over heels in love with at a store refuse to sit pretty at home. Either the dimension is off or colour doesn’t match the interiors. 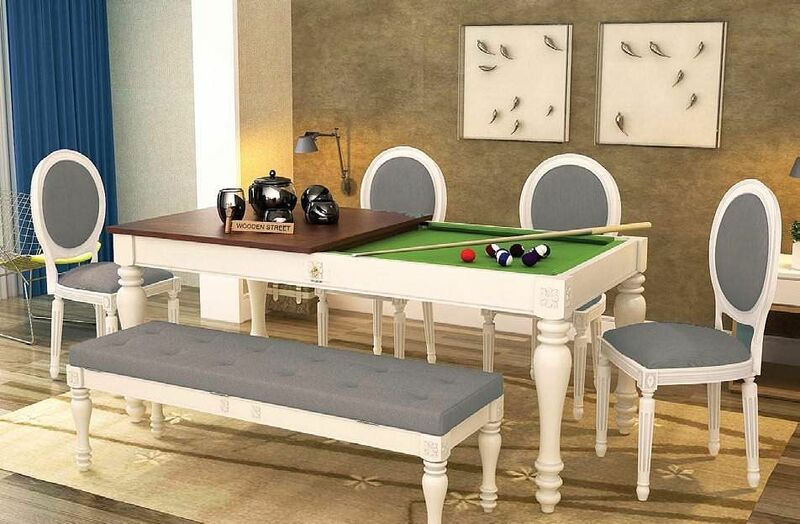 One Hyderabad-based company is making furniture shopping shock-proof. Customers get to design their own furniture on the website through an application by selecting materials and colours of their choice. An estimated quote is then sent back to the customer. A design team visits home to better understand needs and make changes, if needed. Room with final look can be viewed as a 3D model. Customers can also select and book services with set package relevant to them. Interior designer help customers get what they are looking for. Delivering in Hyderabad, Chennai and Bengaluru, it offers solutions for both homes and offices. This Jaipur-based company is marrying technological innovation and time-trusted handcrafting to create completely customised furniture. The process of getting tailor-made pieces is easy. A customer shares an idea—seen in a magazine or at a hotel—through mail. Furniture designers typically call back in an hour to better understand the requirements (read wood type, polish, dimension). Idea is converted into a workable 3D design and sent back along with a quote for approval. Manufacturing is initiated after confirmation is received. Delivered in 9 cities, the brand has over 5,000 products with an emphasis on multi-utility and fresh designs that do not ape the West. 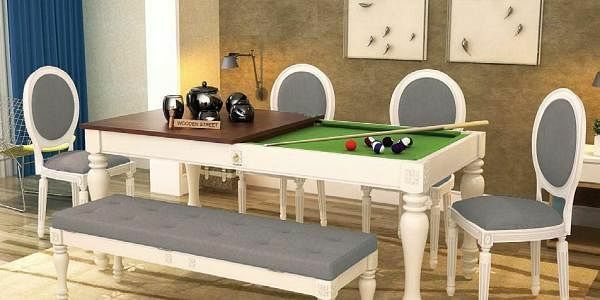 A pool table that doubles up as a dining table sounds like a good idea. Started by four cousins in 2015, woodenstreet.com has its own supply chain and experiential stores in Bengaluru and Pune. View collection or e-catalogue on the website or share an idea (a photograph taken at a hotel or seen in a magazine) with the design team. Have a specific space to fill? Contact the team or customer care executives. Submit your contact details and schedule an appointment for a home visit. Or pay a visit to the experiential store to get a better idea of what’s on offer. Let the experts share samples with you and finalise the design. Control every detail of the bespoke design: wood texture, polish, fabric, form and colour. Your idea is converted into a workable design (3D design in some cases). Once you approve design and dimensions, crafting starts. Depending on the complexity of your order, your ‘made-to-order’ furniture, curtain, upholstered pieces, multi-utility products will be delivered at your doorstep. Highly skilled team install the product.